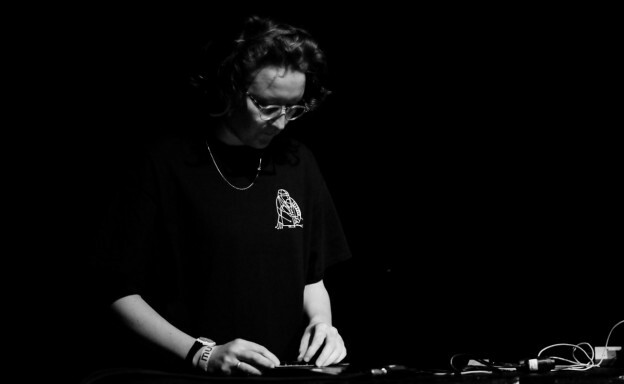 As part of our ongoing MUTEK coverage, CKUT’s own Cyan (of Modular Systems) chatted with the London-based artist, producer, and NTS resident Beatrice Dillon. Read the full transcript below and get to know this prolific, boundary-pushing sound wiz. C: Does your work as a DJ / radio host influence your own music production? BD: It’s usually the other way round, I approach DJing as a musician so I search for music that connects with my own in some way – through production, attitude etc. Being on NTS gives me the chance to showcase all sorts of music and hopefully highlight some of the more unknown weirder stuff. C: Are there any common musical themes/connections/processes that you draw on? BD: I try to look beyond the 4/4 as that is covered really well by other DJs across NTS. I’m more interested in reduced ideas, unfamiliar time structures etc, I also like to balance newer and older music but to be honest it’s up to the listener.. I actually just play things I like! C: What do you personally find interesting in a dj set as a listener? BD: I’m always excited by twists and turns in DJ sets, moments where it could go wrong. I love watching DJs that enjoy the full capacity of a sound system – highs/lows etc..so the set becomes quite sculptural. 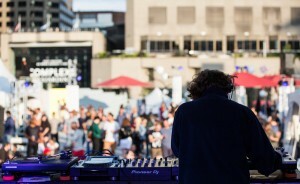 C: One of the aims of Mutek is to showcase digital creativity. I was wondering how you would see your work in that context, or not? BD: Well I use a computer and digital instruments all the time so it’s a huge part of what I do. Like a lot of people, I slightly obsess over technology and what might be possible for me but there’s always an interest in combining approaches. I’ve just produced a commission for a German artist, Jorinde Voigt, who makes beautiful large-format drawings which connect ideas across pattern language, diagramatic expression, algorithmic impulses, colour theory etc and I invited classically-trained cellist, Lucy Railton and Japanese percussionist, Kenichi Iwasa to perform with me as a contrast to the digital. C: I wanted to know what motivates your collaborations – are you looking for particular types of collaborators, projects or ideas or does this just happen through personal friendships for example? How do your collaborative experiences influence your individual working practice? BD: Usually through friendships. There’s always something to be gained from listening to someone else. C: What are some of your upcoming artistic projects post-Mutek? BD: I have a 12” on Hessle Audio which is a more club focused collaboration with Call Super and a remix for Ploy on the great Bristol label, Timedance. Then I’m focusing on a commission for a sound piece installed in a large cave in the north of England this autumn. Finishing a new solo record, a remix and continuing with some some new solo visual work. Plus, there are live and DJ sets booked too, so it’s a busy few months ahead, looking forward to it! To learn more about Modular Systems and Traktion, check out Cyan’s website. This entry was posted in CKUT programming and tagged beatrice dillon, cyan, Modular Systems, Mutek, traktion on August 30, 2017 by CKUT Music Coordinator.